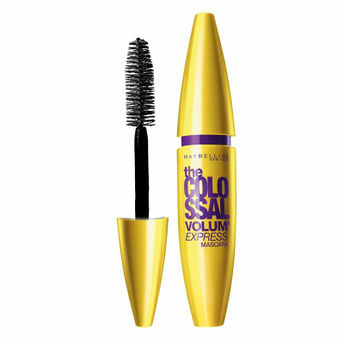 Maybelline The Colossal Volum Express Mascara creates full body, high-volume lashes in a single stroke. The full contact brush, with its specially shaped curve, grasps and loads lashes for a fanned out, eye-popping, full body fringe, and give your eye makeup that pop of a finishing touch. It works magic on tiny lashes. Patented Mega Brush + unique Formula plump lashes one by one. Even dramatizes corner lashes other brushes miss—or worse, mess. Ophthalmologist and allergy tested. Safe for contact lens wearers. Explore the entire range of Mascara available on Nykaa. Shop more Maybelline New York products here.You can browse through the complete world of Maybelline New York Mascara .Alternatively, you can also find many more products from the Maybelline New York The Colossal Volum Express Mascara range.